One of my favorite brunch places in DC is Open City in Woodley Park, primarily because they have a super interesting and varied menu, and they give you coffee in a cup only slightly smaller than your head. 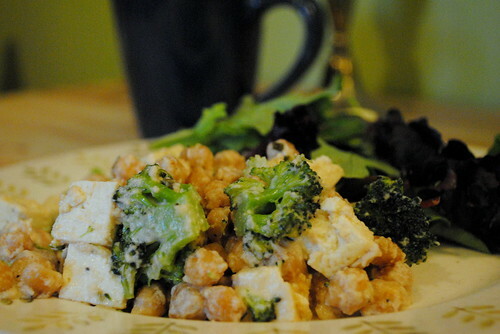 One of my favorite items there is the vegan tofu scramble. It has such a fresh and unique flavor that I used to order it even before I knew I was somewhat allergic to eggs. 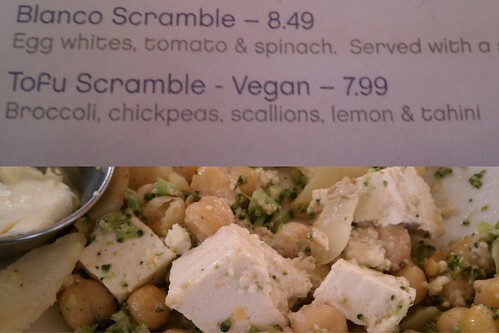 When I was there a couple of weekends ago - for what I knew would be the last time before I leave for Vermont (which, thankfully has many great brunch spots), I ordered the vegan tofu scramble, noted the ingredients in the menu listing, and studied the flavors while I ate so that I could attempt to recreate it at home. 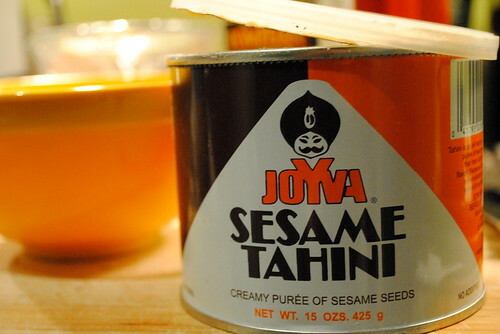 Before I share the results, I must admit that I am not one of those people who tastes a spoonful of something and instantly knows it needs more paprika or cumin or dill or anything really except salt. I'm also not one of those people who can eat something and say, "yes, that thing you're tasting is cardamom." Just not one of my skills. So if the folks at Open City hadn't been so kind as to put the main ingredients on the menu, and if the dish weren't fairly straightforward, I probably never would've been able to make it. With that being said, this was one of the best meals I've ever made. 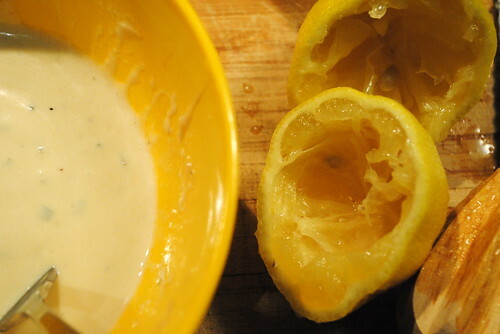 The taste is complex and refreshing, and it's super simple to make - the best combination ever. Well played. Seriously well played. 1. 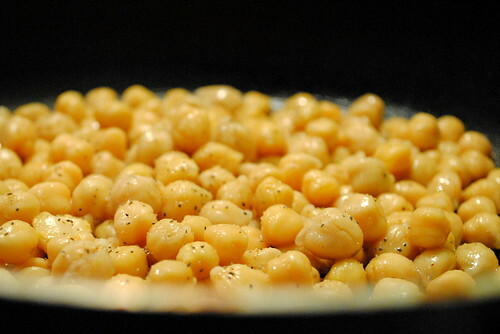 Rinse the chickpeas and pour into a pan with about 1/2 T olive oil over medium heat. Add a little salt and pepper to taste. 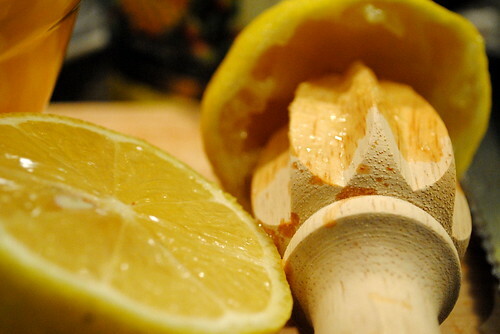 You'll stir these occasionally while you prepare the rest of the ingredients. 2. 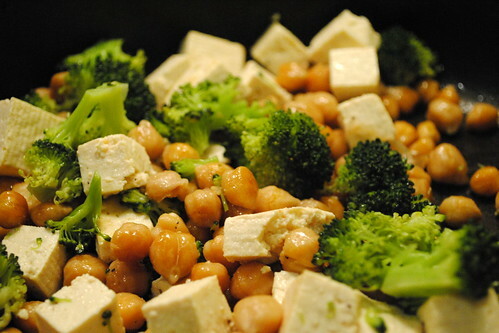 Take your tofu out and place it between two paper towels on a plate, and place a heavy object, such as a cast iron pan on top of it to squeeze out the water. Let it rest like that until you're ready to cut it up. 3. Steam the broccoli just until bright green - I used a traditional steamer in a pot, but a microwave steamer would work just as well. 5. 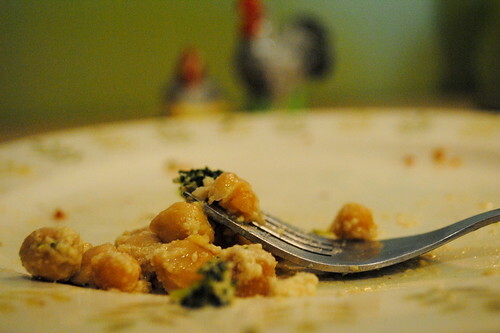 At this point, your chickpeas should be nice and golden, and your broccoli should be bright green. 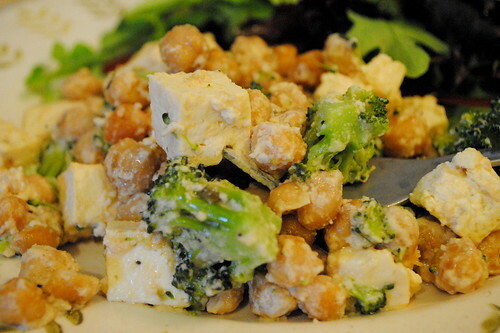 Cut up your tofu into small cubes and throw it and the broccoli in with the chickpeas. Let that cook for about 2 minutes. 6. At the last minute, just before serving, pour in the sauce and stir around until everything is coated. You don't want it to be in there for more than a minute or so - just enough to heat the sauce. 7. Serve! I paired mine with mixed greens and a vinaigrette, but it would be great with toast and fruit or hash browns as well.